As part of our celebrations of Liverpool FC's 125th anniversary year, we have asked several esteemed writers to offer their view on what exactly makes the club unique. 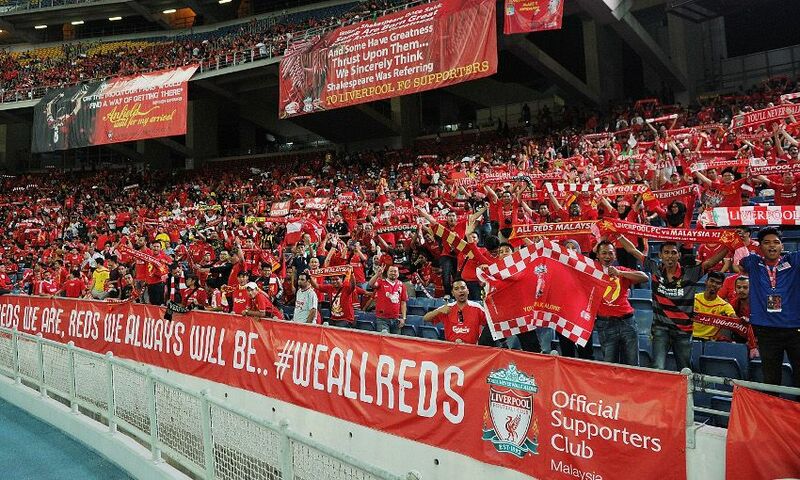 Our latest piece, a look at how passionate support for the Reds spans the entirety of the globe, comes from Joe.co.uk's senior football correspondent Melissa Reddy. At 15 minutes past midnight on Sunday May 27, Hamir Singh will go through his usual matchday routine at his Rajasthan home in the north of India, but this will be no regular occasion. Approximately 12,650 kilometres away, the sun will have risen along with an anxious Campbell Rapley in Auckland, New Zealand, where the countdown to 6.45am will breathlessly commence. Four hours behind in Singapore, David Lim’s voice will be fading after continuous caroling with friends that have become family at a local pub. 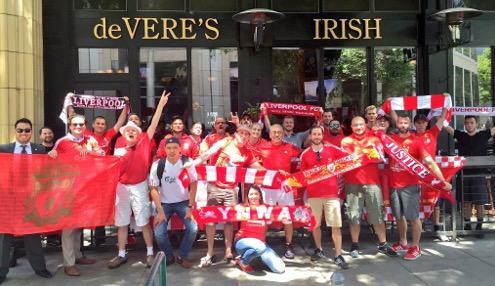 It will be still be Saturday in San Francisco, and as noon approaches, popular watering holes Kezar, Deveres and O’Flaherty’s will form the backdrop of Michael Wood and his mates vigorously swirling their scarves in unison. When the clock strikes quarter to nine that evening in Cape Town, Shaistah Kader and her loved ones will huddle around the television armed with faith, while at the same time up in the north east, a swell of anticipation and pride will envelop all of Egypt. 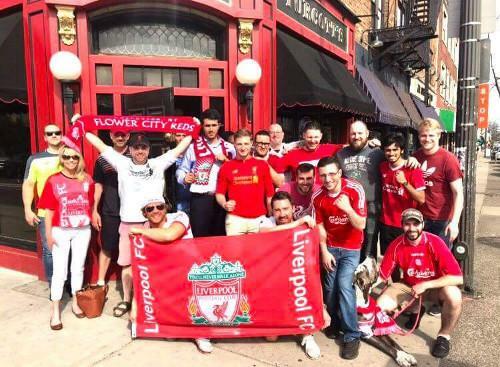 These individuals of contrasting backgrounds with cultures alien to one another will be tightly interwoven by a powerful common denominator - Liverpool Football Club - when the Champions League final kicks off in Kiev, just as they are on a normal day. Pick any continent, any country, any city and you will encounter millions of examples of the above: ordinary people melded by an extraordinary connection to the Merseyside club, who can chart junctures in their lives by goals, games, players and moments that play on loop. There is no overarching ‘how?’ or ‘why?’ to explain this universal pull, to pinpoint the reason so many from such varied circumstances steer a large swathe of their existence around Liverpool. In general, though, it is about much more than merely supporting a team: it is to do with an unmistakable sense of belonging, a widening of your circle and an extension of your world. It is the ability to bind with someone so completely different to you in all facets, but for football: they share your hopes and beliefs, they endure the same disappointments and anguish. It is a formidable form of expression and communication regardless of mother tongue or accent. It is part of you - sewn into the very essence of who you are. Each love story is personalised. Take, for example, the tale of Sudarshan Sampath. The 30-year-old lives in Seattle, but spent his formative years in Bury, where his father was finishing up a medical degree while working for the NHS. Before the birth of his son, Sampath Senior had considered packing everything up and returning to India due to escalating race tensions. He would later reveal to his little boy that he found the strength to stay and forge a better life for his family after watching a John Barnes masterclass for Liverpool in the late 80s. Witnessing the winger - a chance occurrence - being so majestic despite discrimination empowered him to feel he could triumph in his own situation. As soon as Sudarshan was old enough, they regularly travelled to Anfield together until moving to the States, where their support has only hardened as they navigate kick-off times in the early hours. Marque Pierre Sondergaard, meanwhile, grew up in Denmark where there would be fights with his friends over whose turn it was to be Liverpool in backyard kickabouts. He recalls a childhood of waiting in front of the TV for the one English football match that would be screened on a Saturday, hoping it would feature the team in the red, v-neck kit with white embroidery and the Crown Paints logo that could count on the vision and creativity of his countryman, Jan Molby. It was while enjoying the 2006 World Cup as an 11-year-old and revelling in the performances of Harry Kewell that Sean Brown from Melbourne pledged allegiance to Liverpool. He was at the MCG in 2013, his voice streaming with 95,445 others in an unforgettable, soul-stirring rendition of You’ll Never Walk Alone. About 15,175 km and a 10-hour time difference away, in Ghana’s rainforest region of Kumasi, Osei Ankrah’s association with the club began with an act of charity. Old strips were donated to his street team when he was eight and he scored the white, green and black away top that Robbie Fowler dismantled defences in. It was Osei’s first shirt and it wasn’t just a piece of clothing to him, it was “a symbol of optimism and aspiration”. Tran Thi Mai Le from Hanoi was in hospital, flipping through the pages of a book when she was introduced to Liverpool; the club’s storied past distracting her from severe chest pains. Learning about the Reds provided an escape and comforting before it became habit, and now, she spends her hard-earned savings on an annual visit to Anfield. There are countless accounts to relate, all unique, but they carry the same underlining message: support isn’t strictly about geography or logic, it’s centered on an emotional attachment that cuts through distance, cares not for language barriers and crushes convention. When your heart rate escalates at the speed of Mohamed Salah as Liverpool take to the pitch against Real Madrid at the NSC Olimpiyskiy Stadium, as your insides twist and turn, pick any continent, any country, any city and know there are millions lined across the earth’s surface experiencing the same sensations, who are dreaming as vividly and hoping as intensely as you. That is power. That is a source of pride. That is a great show of Red strength. The club have conquered all of Europe, but far beyond that, they’re tattooed on you, you, you and on beings the world over.